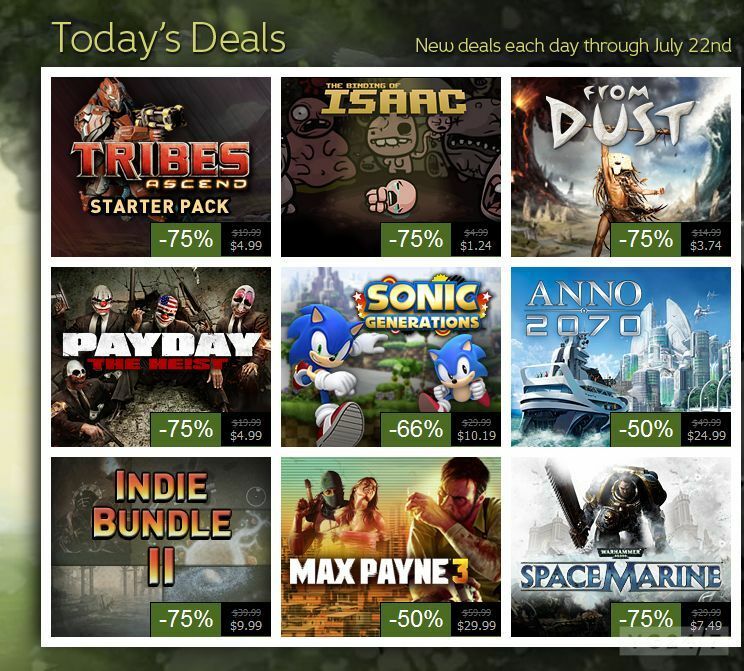 The Steam Summer Sale is in full swing, and today’s deals are rather nice. Once again, we’ve posted shots for you below, just in case you are at work and your IT department has Steam blocked. Sales include The Biding of Issac, WH40K: Space Marine, Anno 2070, Sonic Generations, Ghost Recon: Advanced Warfighter, Max Payne 3, and more. Flash sales include the Super Street Fighter IV: Arcade Edition, select Tomb Raider titles, Worms Reloaded, and Hoard.